In Helston, Cornwall a spring festival is held in May and includes the curiously named Hal-an Tow (meaning “haul on the rope”), a mumming play referencing St George and the Dragon, Robin Hood and the Spanish Armada. 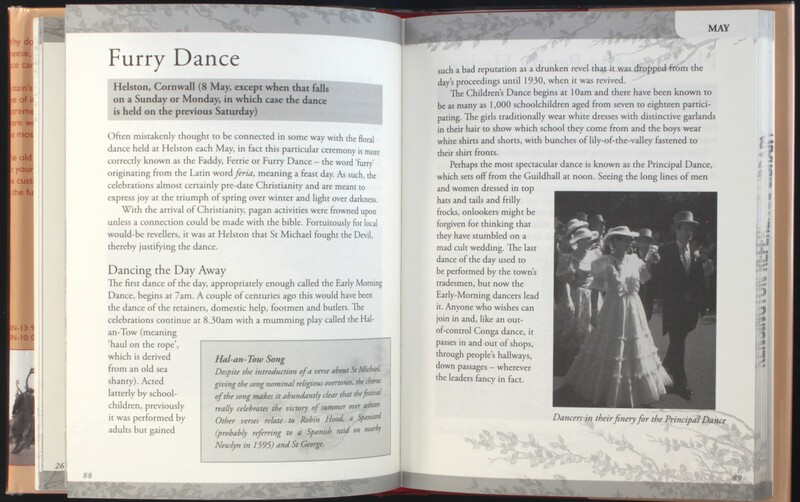 The day’s celebrations include the Furry Dance (a floral dance) that weaves in and out of local shops and houses, men wearing top hats and tailcoats, ladies in evening dress, and everyone adorned with sprigs of Lily of the Valley (slightly more civilised than Viking carousing!). Abbotts Bromley in Staffordshire boasts its own traditional dance in September each year. 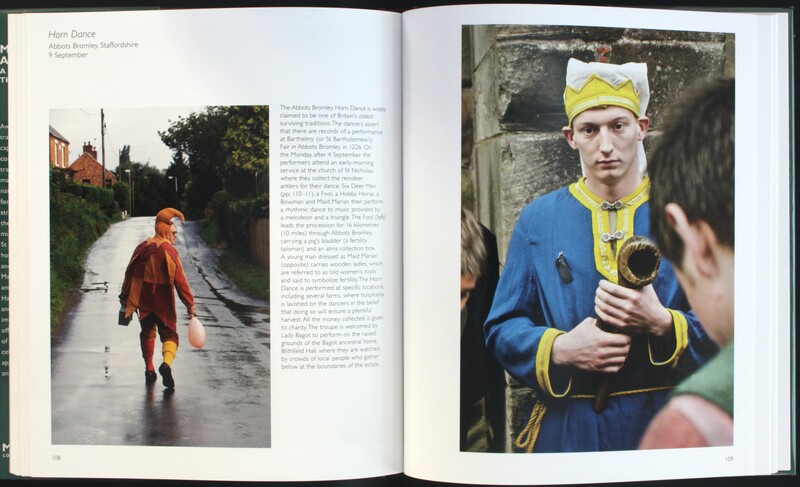 The Horn Dance Fool (Hannant, Sara: Mummers, Maypoles and Milkmaids, a journey through the English ritual year, London, (Merrell) 2011). 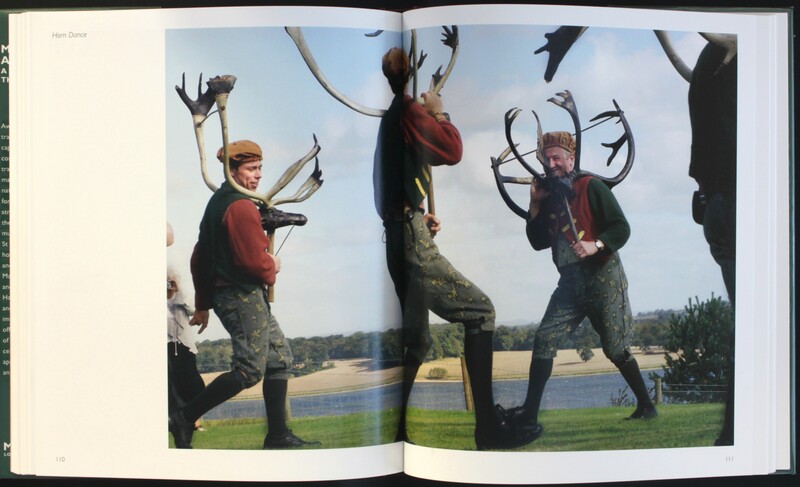 Deer horns and tweed trousers, we must be in England…(Hannant, Sara: Mummers, Maypoles and Milkmaids, a journey through the English ritual year, London, (Merrell) 2011). The Horn Dance is first recorded in 1226 but almost certainly dates back to pre-historic times. Six men carrying great reindeer antlers are accompanied by a fool, a hobby horse, a bowman and Maid Marian, all performing a dance to the music of a melodeon and a triangle. The ritual is believed to ensure a good hunt but nowadays is also used to collect money for charity. 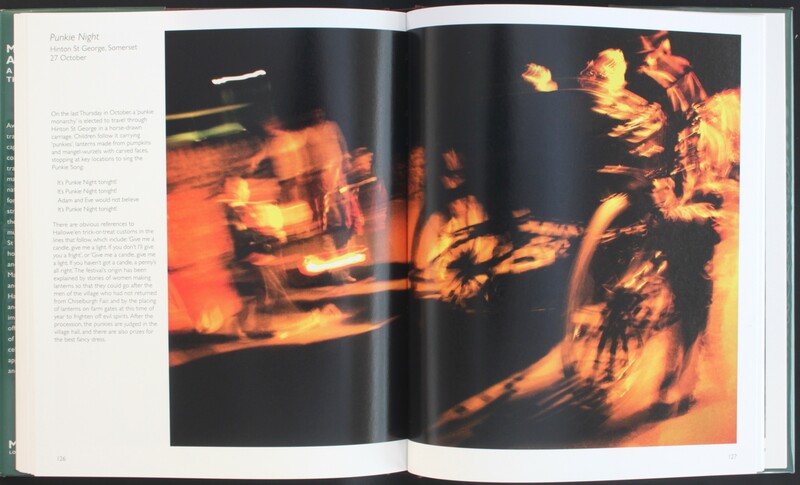 Fire and fun on Punkie Night (Hannant, Sara: Mummers, Maypoles and Milkmaids, a journey through the English ritual year, London, (Merrell) 2011). Punkie Night is held in Hinton St George, Somerset, in late October. The custom is reminiscent of Halloween and trick-or-treating. Children follow a horse-drawn carriage around the village carrying “punkies”, lanterns made from pumpkins and mangel-worzels with carved faces, singing songs and threatening to frighten people. The origins of Punkie night are believed to have come from the custom of placing lanterns on farm gates to drive away evil spirits.